This page allows you to view the amount of items in a category. 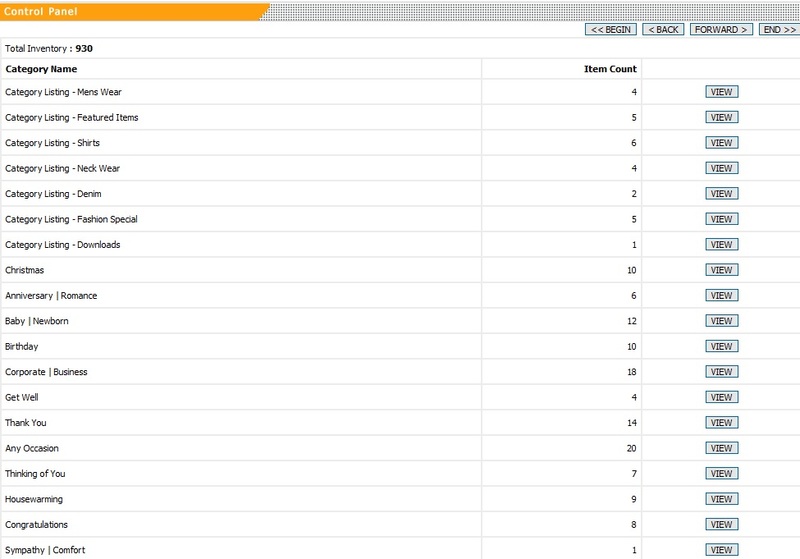 To view items within a category, click ‘View’. 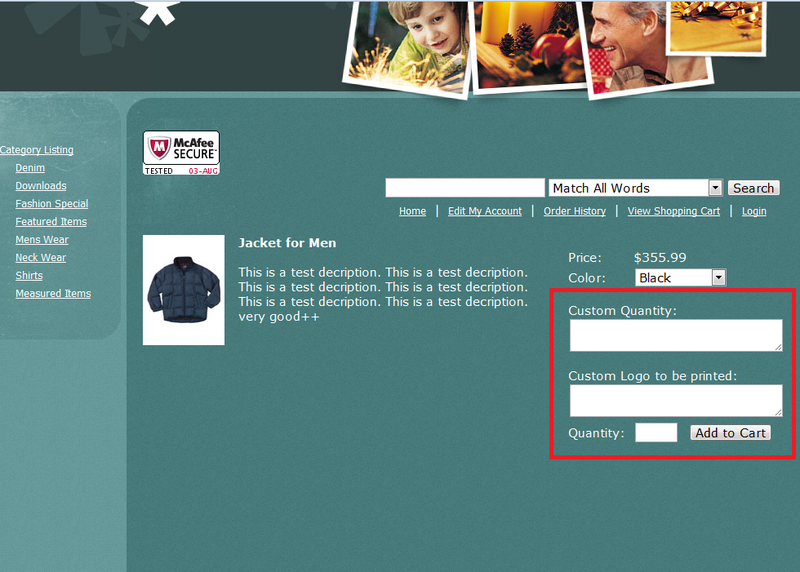 You are able to associate an image with an item by loading it from your website. Load an image to a unique page anywhere on your website (ex. will load the image to the shopping cart. click open. When you click ‘Add Image’ below, you will upload the the image. resize the image keeping the same proportion. 1. Select the image you would like to use. pixel width needs to be less than the pixel width of the actual image. Thumbnails are smaller versions of the image. customers search for an item. the dropdown option description would be "Red" or "Green". list syntax. Then use that syntax in the ‘View Drop Down List – Quick Add’. 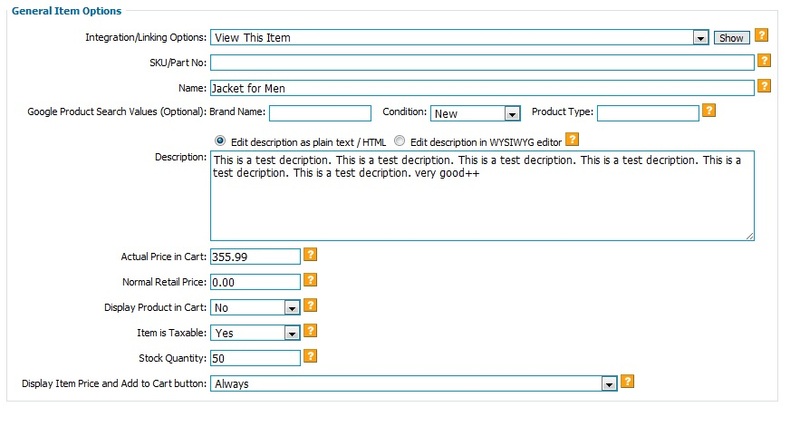 This is the description seen by customers as an option under the drop down bar. If this item was a t-shirt and you had a color green, you would enter ‘Green’. added to the current item price (Actual Price in Cart). subtracted from the current item price (Actual Price in Cart). override the current item price (Actual Price in Cart). multiplied by the current item price (Actual Price in Cart). — An example of a website that uses the multiply feature is a mattress company. price by 2, 3, 4, etc. The price adjustment of the dropdown option. Input ‘0’ to disable. The shipping cost to be adjusted for the dropdown option. Input ‘0’ to disable. Charge specified by items". To edit this setting navigate to: Manage > Shipping. The weight of the dropdown option to be adjusted. Input ‘0’ to disable. To edit this setting navigate to: Manage > Shipping. View the ‘Auto Select Qty pattern’ file below for an example. can create this under ‘Create Down Down Lists’ — Level Description. 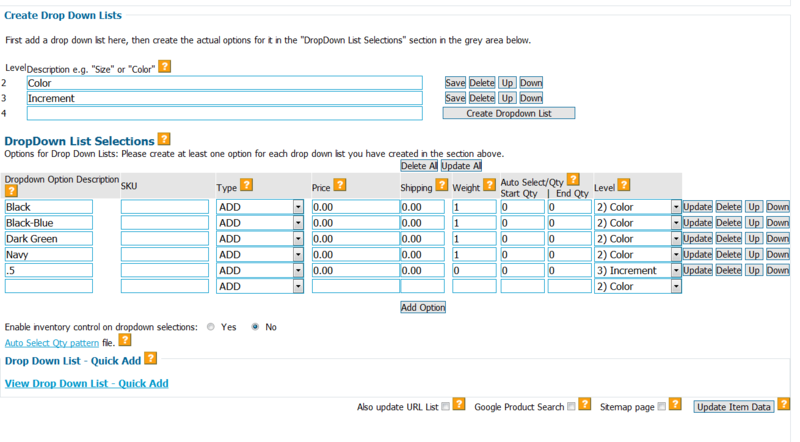 This function allows you to import drop down list options and values. list syntax. Then use that syntax in the field below. multiple items at the same time. items you would like to delete and then click ‘Delete’. multiple items, but not the place to delete an entire category worth of items. specify the amount they will be paying. provide a secure method for accepting variable payment amounts. Inventory > Inventory Main > Add "Fill-In"
option to edit the text in HTML format. already have a main image or have been imported. through products, and a larger image which they could view on the item page. click the ‘Create Thumbnails’ button. 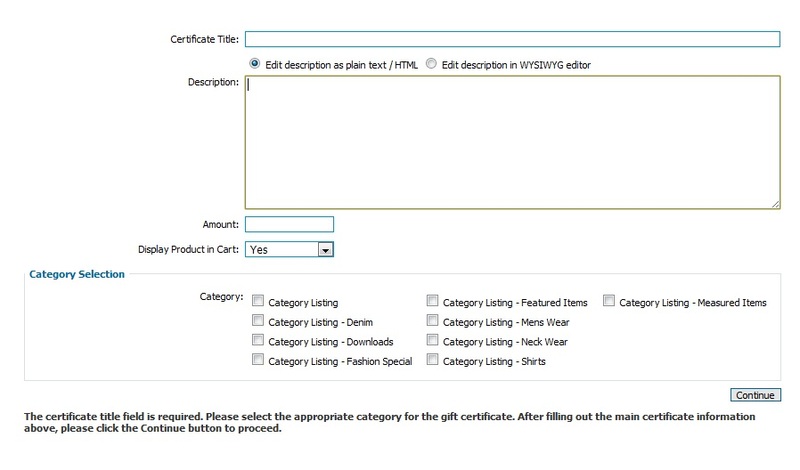 Create the Gift Certificate title. 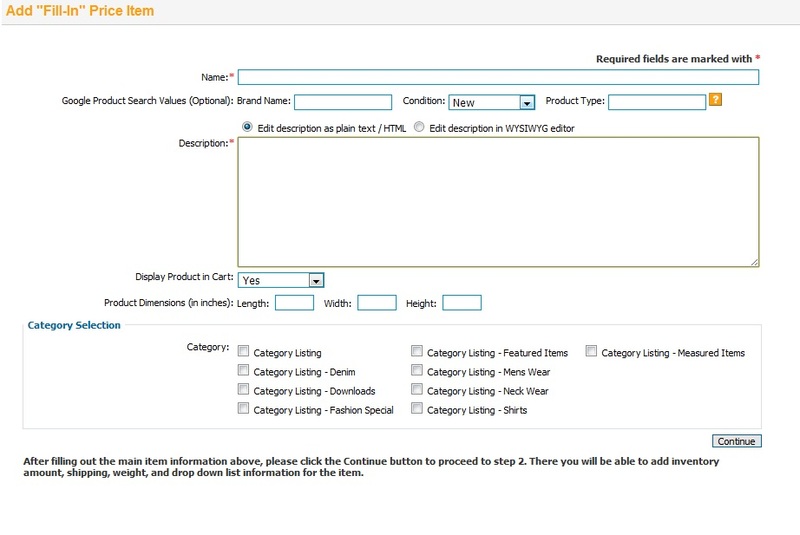 item is available throughout the shopping cart software. are helpful for the customer to locate your items. 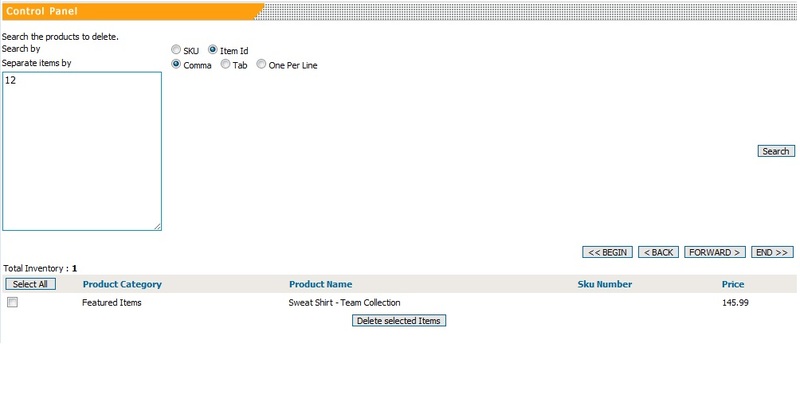 customization in using the shopping cart information on your actual pages. page. You can also use this link to view your item page. help information for Integration > Category Items listing HTML. appears currently in the shop part of your site. WYSIWYG editor give you the option to edit the text in HTML format. Regular Pricing & Sale Price’ is set to ‘Both’ under General Settings > Misc. this item is available throughout the shopping cart software. price and add to cart button when customers are not logged in.